Do departments have to change the way we hire and manage adjunct faculty now that we have a Collective Bargaining Agreement (CBA) with SEIU Local 500, the adjunct faculty union? Perhaps. The CBA sets out the basic rules of engagement for part-time (adjunct) faculty on the Main Campus who are hired on a per-course basis to provide needed instruction in the units of the Main Campus in Washington, DC. Departments must comply with the terms of the CBA in all respects. Faculty members who are within the definition of the bargaining unit are subject to the terms of the CBA. How do we know which faculty members are represented by the union and covered by the CBA? Adjunct faculty covered by the CBA include all part-time faculty employed to teach at least one credit-earning class, lesson or lab for the Main Campus in Washington, DC (Article 1.A). The following adjunct faculty members are excluded: all employees of the Georgetown University Law Center or the Georgetown University Medical Center (including the School of Medicine and the School of Nursing and Health Studies); all faculty teaching in locations outside of Washington, D.C.; all faculty teaching only on-line courses (regardless of location); all full-time faculty; all graduate students; all lab assistants, graduate assistants, teaching associates, clinical fellows, teaching fellows, teaching assistants, research assistants; all full-time or part-time staff or administrators, whether or not they also have teaching responsibilities; all deans, registrars, and librarians; all volunteers; and managerial employees, office clerical employees, guards, and supervisors as defined in the Act (Article 1.B). How do I know whether to pay union dues or an agency fee? Adjunct faculty members who are included the bargaining unit (see FAQ 2) have two options. (1) They can join the union and become members in good standing of SEIU Local 500. This choice requires the payment of union dues to support union activities. (2) Adjunct faculty members who choose not to become members of the union must pay an “agency fee” to the union for its services on their behalf. On average, the agency fee is about 85% of the amount paid to join the union. The reason for this difference is explained in the Georgetown Beck Notice available at http://www.seiu500.org/2015/04/georgetown-university-beck-notice/. However, there are a few exceptions to the requirement to pay an agency fee. Adjuncts who fall into one the categories of exceptions listed in Article 3.B, numbers 1-7, are excluded from this requirement. Some of these exceptions include adjunct faculty who may be members of federal, state, or DC judiciaries; ambassadors; employees of the IMF or World Bank; retired faculty with emeritus status; and faculty teaching compressed courses lasting only one to two months. Article 3.B.8 identifies another category for an exception to paying an agency fee. An adjunct who affirms through a written statement that payment of an agency fee to the Union will have a material adverse impact on his or her professional work, or on employment outside of the University, because of an actual, potential, or perceived conflict of interest, also may be excluded. An adjunct asserting this claim must provide appropriate documentation for review by SEIU. If SEIU accepts the claim, the adjunct faculty member must make contributions in an amount equal to the agency fee to a charitable organization(s) agreed to by the University and the Union. (For more information, see “Donations in Lieu of SEIU Agency Fee.”) If SEIU does not accept the claim of a conflict of interest, the adjunct must pay the agency fee. How often do I have to complete the SEIU Local 500 application form to pay union dues or an agency fee? If you choose membership in the union or the agency fee, you only have to complete the application form one time. SEIU will maintain your chosen status from semester to semester even if you do not teach for one or several semesters. Your information will remain in the Georgetown payroll database if you selected payroll deduction to pay union dues or the agency fee. You need to complete the application form again only in one of two circumstances. If you decide to change your status: For example, you decide to join the union instead of paying an agency fee, or vice versa. If you seek an exemption: This request must be submitted each semester you are employed at Georgetown because it is necessary to verify that the status on which the exemption is based has not changed. For more information, read FAQ #3. What is the minimum rate of payment for adjunct faculty members? For all other non-standard courses and services, departments may negotiate compensation with the adjunct faculty member on an individual basis and must document the agreement in writing. What is the definition of a "standard course?" A standard course is a 15-week course in the fall or spring semester, or a 12-week course in the summer, for which the adjunct faculty member is the instructor of record. A standard course does not include independent study, advising, directed reading, or other individualized instruction. Can departments agree to pay adjuncts more than the minimum required by the contract? Yes. Departments may continue to negotiate compensation with faculty following the standard practice and procedures of the schools and departments, keeping in mind the budget authority, while considering factors like competing offers and market rates across the region. Departments may not give across the board increases to adjunct faculty who are covered by the CBA because across the board increases are a subject for collective bargaining. But departments may continue existing pay policies and practices, including the negotiation of compensation rates with individual faculty members as circumstances warrant. Will adjuncts receive raises because of the CBA? --If an adjunct faculty member is compensated at a rate of less than $8,000 for a standard 3 or 4 credit course and has taught at the University for 5 or more years, the adjunct faculty member shall receive the minimum rate or an increase of $250 to their rate of pay for that course, whichever is greater. --If an adjunct faculty member is compensated at a rate of less than $8,000 for a standard 3 or 4 credit course, and has taught at the University for at least one but less than 5 years, the adjunct faculty member shall receive the minimum rate or an increase of $100 to their rate of pay for that course, whichever is greater. Please refer to Article 18 of the CBA for more details on compensation. Beyond the increases and bonuses provided by the CBA, departments may negotiate individual compensation rates with adjunct faculty following the standard practice and procedures of the schools and departments, keeping in mind the budget authority, while considering factors like competing offers and market rates across the region. What materials and resources must the department provide to an adjunct? Each department should provide its adjunct faculty with materials and other resources, to the extent available, to facilitate the best educational experience possible for Georgetown’s students. The CBA does not prescribe the specific materials and resources that must be provided because these may vary from department to department. Each department should, at a minimum, continue its existing policies and practices. Are adjuncts entitled to participate in all departmental meetings and activities? Adjunct faculty members' participation in these types of meetings and activities will vary depending on the purpose of the meeting or activity (Article 17.A). Schools, departments, and programs are encouraged to invite adjunct faculty members to participate in meetings and activities when appropriate, but Schools, departments, and programs independently exercise discretion as to who will be invited to meetings and activities. --Participating in public lectures, public talks of job candidates, and other community academic activities. --Participating in opportunities, when invited, to provide feedback on curricular issues relevant to courses they teach or have taught. Do adjuncts participate in the evaluation process? Student evaluations will be conducted in accordance with University policy (Article 5). Adjunct faculty members shall cooperate with the appropriate academic administrators to facilitate the student evaluation process. Student evaluations will be made available to the adjunct faculty member following the end of the semester, once all grades are submitted for the course. In addition to student evaluations, the adjunct faculty member may request feedback from the University and/or a classroom observation in accordance with other provisions in the CBA, which the University shall consider in evaluating the adjunct faculty member’s performance. Are there rules about payments adjuncts receive when a course is canceled? Yes. Courses can be canceled for a variety of reasons articulated in the CBA (Article 4; Article 19). Some of these include low enrollment or curricular changes. If an adjunct is appointed to teach a standard course and then the department cancels it more than 21 calendar days before the first day of class, no payment is made to the adjunct faculty member. If the department cancels it within 21 days of the start of classes, but before the course begins, then the faculty member will receive a $300 payment. If the department cancels the course after it begins, then the faculty member will receive a pro-rated payment. What happens if an adjunct resigns mid-semester? If an adjunct faculty member cannot complete a course during the semester, that faculty member should be paid a pro-rated amount for the period of work completed. If the department hires another adjunct faculty member to teach the rest of the course, that faculty member should also be paid a pro-rated amount. Who owns the syllabi, lecture notes, and presentation materials developed as part of a course taught by an adjunct? Adjunct faculty members have the same rights, responsibilities, and protections regarding intellectual property as do all faculty as described in the Faculty Handbook (Article IV.B). What are the rules for renewing an adjunct? Under the CBA, long-serving adjuncts may achieve “good faith consideration” for re-appointment to teach a specific course, as described in Article 4.C. Adjunct faculty members who have previously taught a specific course for at least two (2) calendar years and a minimum of four (4) times within a period of four (4) calendar years at the University will receive good faith consideration for appointment to teach the same course if it is offered by the University within one (1) calendar year of the most recent appointment, provided that the University intends for the course to be taught by an adjunct faculty member covered by this Agreement, unless one of the exceptions set forth in the CBA applies. Good faith consideration does not preclude the University from appointing another faculty member to teach a different course. How is good faith consideration determined? The Collective Bargaining Agreement identifies three key factors used to determine good faith consideration. 1. Article 4.C explains that the time period to be used to determine good faith consideration is is the calendar year. This includes the spring, summer and fall semesters in each calendar year. 2. Article 4.C indicates that the basic requirement is teaching "a specific course for at least two (2) calendar years and a minimum of four (4) times within a period of four (4) calendar years...."
Read Article 4.C and notes #1 through #9 for additional information about factors which can affect whether a teaching assignment is offered when an adjunct has good faith consideration for a specific course. 3. Article 18.A states that compensation, and therefore good faith consideration, is based on teaching a "standard course." This is defined as a course lasting 15 weeks in the fall and spring semester, and 12 weeks in the summer semester, for which the adjunct is the instructor of record. Although there may not be many standard courses offered in the summer, the summer semester must be included in the calendar year calculations. 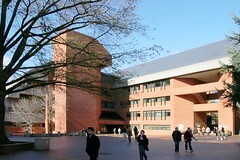 The Office of the Provost distributes lists to the schools about six weeks after the start of the fall and spring semesters indicating which adjuncts have achieved good faith consideration for a specific course. This information is used to plan teaching assignments for the next semester. If an adjunct thinks that s/he has achieved good faith consideration but is not included in the list, contact the Office of the Provost for assistance in evaluating the claim. A department teaches multiple sections of a course and has more adjuncts who have achieved good faith consideration than sections of the course. How does the department decide who will be offered the course first? Departments will be able to make these decisions using their discretion, but should work with the Office of the Provost to develop a re-appointment approach that is consistent and thoughtful and complies with the CBA. In these cases, re-appointment might involve looking at seniority, evaluations, expertise, and other potential criteria. How can I determine whether I am compliant with the collective bargining agreement requiring covered adjuncts to either pay union dues or an agency fee? If you signed up to pay your SEIU Local 500 dues or an agency fee by payroll deduction, you can see the SEIU deduction(s) on your monthly payslip. The amount should be roughly $25 - $38 per month, depending on how much you are being paid. (For more information on the amount you pay, review the Beck Notice. However, if after checking your pay slip you still are uncertain, call SEIU at (301) 740-7100 and ask to speak to Sue Gindes or another contract administration representative. Any representative can check for you. Sue also can be reached by email at GindesS@seiu500.org. 1. Click here to complete the application form online. 2. Click here to download, complete and send by US mail the short application form. 3. Sue or another rep can take your information to set up the automatic payroll deduction. Note: You are not required to use payroll deduction to pay union dues or the agency fee. However, many part-time faculty use this method for convenience instead of sending their payments to SEIU by check. If an adjunct faculty member achieves good faith consideration for a specific class that is usually taught in a specific semester or term, does that mean the department has to offer the course to that adjunct every semester? Not necessarily. If an adjunct has achieved good faith consideration for a course and typically teaches that course in a specific semester, then the adjunct would, at a minimum, be entitled to good faith consideration (subject to the terms of Article 4.C) if that course is offered in that semester). There may be other faculty members who have typically taught the same course in other semesters, and the rights and expectations of those other faculty members should be considered in those circumstances. Who can answer questions that adjunct faculty members might have about the union? Part-time (adjunct) faculty members will find many of their questions answered in the Collective Bargaining Agreement. They also may contact the union (SEIU Local 500) for assistance. If a department or administrator has questions that have not been answered here, who can help? Please leave no question unasked. Contact Sandra Gleason, Ph.D., Director of Faculty Affairs, to assist you with any questions you may have.